By its nature, any best-of-list will inevitably be subjective. This means that best-of-lists are really only “best-of” according to the person writing that list. With chess players, certain statistical techniques can bring about some measure of objectivity, but statisticians disagree whether such methods can be used to judge players from different generations who never competed against each other. Some names, however, are a must on any list you’ll see, even if the writers disagree about ranking. Without further ado, here’s our own highly subjective list of greatest chess players. But we’ve omitted rankings, so the order of appearance here doesn’t indicate the superiority of one player over the other. Here’s one of those ever-present names we were talking about. No greatest chess player list can be complete without the longest reigning World Champion from 1985 to 1993. From 1986 to 2005 when he finally retired, he was ranked at world #1 for 225 months out of 228. The Russian player remains one of the most interesting figures in chess history, in large part due to his matches against Deep Blue, a highly intelligent chess computer. Kasparov defeated Deep Blue in a two-game match in 1989, and won a subsequent match 4-2 in 1996. However, in 1997, an updated version of the computer would defeat Kasparov – the very first time a computer ever won against a human player. The match was destined to go down in history as a seminal one, and Kasparov’s name would forever be linked to Deep Blue’s after this. That isn’t to say the man is defined by his most famous loss! Quite the contrary – the loss cemented itself in popular imagination precisely because of Kasparov’s unprecedented winning streak. But simply winning was never enough for the politically minded player, and once he had won the World Championship in 1986, he started the Grandmasters Association. The GMA was meant to oppose FIDE (the World Chess Federation) by representing professional players and allowing them to be more actively involved in FIDE’s activities. 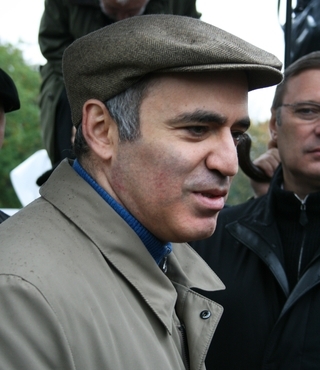 Kasparov’s deep seated ideals about the game would lead him to continue an uneasy relationship with FIDE, and in 2005, to retire once he felt there was no more personal growth to be had. The eccentric Bobby Fischer is another player whose absence makes a best-of list incomplete. World Champion between 1972 to 1975, the American player sparked a huge interest in chess in the United States. For all his genius, Fischer remained a bit of an oddball in the chess community, thanks to his short temper poor social skills. He was perceived as being arrogant and unfriendly, and was also quite anti-Semitic. However, none of these failings affected his talent. At 15, he was the youngest ever Grandmaster and the youngest ever candidate for World Championship. In 1971, he became FIDE’s first number-one-rated player. Like Kasparov, Fischer had a contentious relationship with FIDE. He spoke out against the playing conditions and the money involved in championships. When he couldn’t reach an agreement with FIDE over one of the conditions for the match in 1975, he refused to defend his title, and it passed on uncontested to Anatoly Karpov. He was also against opening systems that involved committing opening moves to memory, since these caused more skilled players to lose out to those who simply had better memories of the system. Fischer was responsible for creating an alternative to this system. Called Fischerandom or Chess960, the system had 960 unique starting positions, which would dramatically reduce the ability of players to use rote learned opening moves. To Kasparov himself, Fischer was a legendary and revolutionary figure in the history of chess. Some other grandmasters have compared Fischer’s style of playing to a computer’s because of the lack of noticeable weaknesses. An Indian chess Grandmaster and World Champion, “Vishy” Anand was the fourth player in history to pass the 2800 Elo mark on the FIDE rating list. He was number one for 21 months, and won three Advanced Chess tournaments (first introduced by Kasparov) consecutively. Anand is considered one of the more versatile world champions, being the only player to have won the world chess championship in four formats: tournament, match, knockout and rapid time controls. Anand himself ranks Kasparov and Fischer among the greatest chess players who ever lived. Judit Polgár is widely considered to be the strongest female player of all time. Breaking into the old boy’s club of chess, she had to overcome sexist attitudes in order to reach the top. She achieved the title of Grandmaster at the age of 15, breaking Bobby Fischer’s record to become the youngest ever Grandmaster at the time. She was also the youngest player to ever break into the Top 100 players rating list. From 1989 to 2015, she remained the number 1 rated woman in the world. She also defeated 11 current of former world champions in either rapid or classical chess, including Kasparov. Judit had an interesting professional relationship with Kasparov. She lost a controversial game to him in 1994, where in the aftermath of the match, video evidence revealed that Kasparov had technically made an unfair move. Kasparov and Judit had a falling out over this match for three years, until she finally defeated him in 2002. Kasparov would go on to give her due respect as a top player, especially praising her “relentless aggression”. Capablanca started playing at the age of 4. In 1921, he won the World Championship and retained the title for six years. And in 1922, he performed his greatest feat: playing simultaneously against 103 players, where he only lost one match and won 102. Karpov was the youngest ever Soviet National Master. In 1974, he challenged Fischer for the World Championship title, but as mentioned earlier, Fischer declined to compete and left Karpov title-holder by default. While his reign was disputed, he held the title from 1975 to 1985 and then from 1993 to 1999. Laskar holds the record for the longest ever title holder, with a winning streak that continued for 27 years. He first won in 1894, then defended the title in 1907 and continued to decimate players until he was finally defeated by Jose Capablanca in 1921. However, even following the defeat, he remained ahead of Capablanca in terms of ranking. Considered one of the greatest attackers of all time, Tal was World Champion from 1960 to 1961. He was known for his creative genius, and his confrontational playing style. His prowess lead to the unofficial nickname “The Magician from Riga”. Tal holds the records for both the first and second longest unbeaten streaks in competitive chess history. Botvinnik was a pioneer of computer chess, and first Soviet world-class player, which made him an influential figure within the world of Soviet chess. He was World Champion from 1948 to 1957, 1958 to 1960 and 1961 to 1963. Additionally, he helped design the World Chess Championship system after WWII. He was a leading coach in the system that enabled the Soviets to dominate top-class chess at the time. Botvinnik counted Karpov, Kasparov and Vladimir Kramnik among his protégés. A contemporary player, Carlsen is the current World Champion and has held the title since 2013. He became a chess grandmaster at the age of 13 years and five months, making him the third-youngest grandmaster in history. Carlsen defeated Viswanathan Anand in 2013 to become World Champion and reached the highest ever peak rating of 2882 in 2014. Additionally, he also won the World Rapid Championship and the World Blitz Championship, meaning he holds all three world championship titles. As a teenager, Carlsen used to focus on vigorously attacking his opponent. As he matured, however, he has begun to utilize other tactics as well in order to handle elite players, against whom he was struggling. This has served to make him a better rounded player. He does not rely on opening preparation as much as other top players. This makes it harder for opponents to prepare against him, especially as he tends to use a variety of openings. While this has caused criticism to leveled against his “unscientific” methodology by some, Carlsen’s endgame and positional mastery have invited comparisons to players like Fischer, Capablanca and Karpov by his coach Kasparov. His endgame, especially, has been praised as one of the greatest in chess history. He has been described to confuse his opponents into making miscalculations through his superior skill, and by playing calmly, methodically and fearlessly. This mentality allows Carlsen to play without making many mistakes and by making many “very best” moves. Carlsen has been awarded with multiple honors: Time Magazine named him one of the Top 100 Most Influential People in the World in 2013, and he was the recipient of the Peer Gynt Prize in 2011.